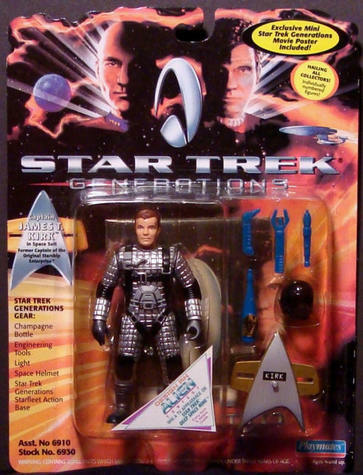 I have the following Star Trek action figures for sale, by Playmates. All are mint on card, cards are generally near mint unless noted. I have larger pics of all on my website. Tapestry 2 Picard, with phaser, M.I.B. (have 3). Toyfare exclusive mail-in...$5 ea. Sorry, but I DO NOT TAKE PAYPAL. I charge exact shipping, no handling or other padding fees! Experienced seller, satisfaction guaranteed on condition or money back. Please send at least your zip code, or your whole address if you're sure you're buying, on your first message so I can get you the shipping costs/choices right away, thanks.